Amazing news! 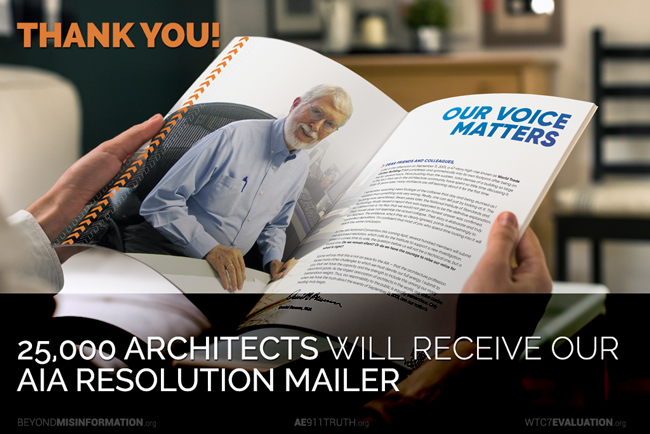 Last Thursday we reached the fundraising goal that will allow us to send our AIA Resolution Mailer to 25,000 members of the American Institute of Architects (AIA). 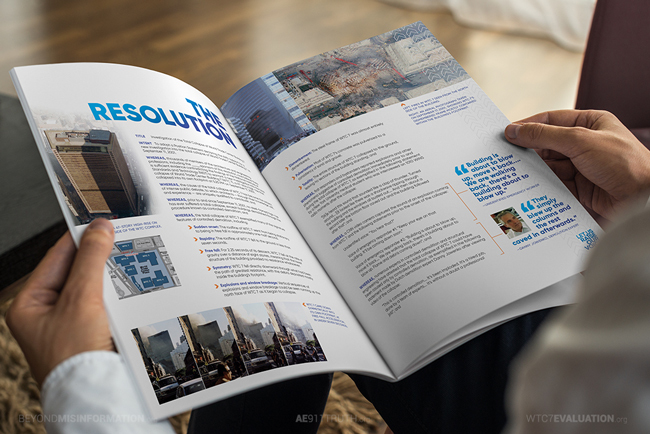 If you haven’t yet read this eye-catching mailer — which will surely move the AIA one step closer to officially supporting a new investigation of World Trade Center Building 7’s collapse — I invite you to do so now. We’re confident that outreach like this will turn the 4% of the vote we won in 2015 and the 11% we garnered in 2016 into a much larger share in 2017. We’ll keep you posted as this campaign gains momentum in the coming months!